One admirable quality of a recording artist is an ability to develop and build on a core sound which has been initially responsible for turning heads. 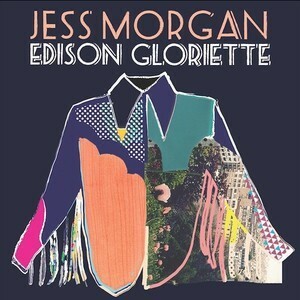 Upon release of her fourth album EDISON GLORIETTE, Jess Morgan is one such artist with the vibes from the record suggesting the bravest and biggest step to date. 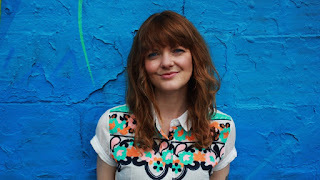 This Norwich-based singer-songwriter has made her name on the national folk and acoustic circuit as a stylish solo act. An opportunity to have a more varied instrument input has been grasped during the recording progress on this latest release. The result is an absorbing collection of eleven self-penned songs, never losing sight of Jess’s trademark slightly husky vocals giving the sound a reassuring warm feel. The music of Jess Morgan first crossed my path in spring 2013 when one of her many gigs came to town and this sealed an intent to casually keep track of her across the wires, circuit and ever increasing world of social media connectivity. The ability to put to song many an engaging story has long been an innate trait of Jess and wide reaching evidence exists to re-enforce this view on the new record. Characters, life observations and deep inner thoughts are the starting points for many of Jess’s songs and quite often in the past it has been the live performance, with accompanying narrative, which truly allows them to bloom. While Jess’s albums and shows are almost at one, the new record sparkles with a sense of independence suggesting a reach out far from the gig sale. The mood of the album indicates it is best savoured during one of life’s quieter moments when you can let the overall vibes soothe you and full attention can be paid to the literary content. To aid this process, the record does make great strides in the melody department, an area work-in-progress across her back catalogue. While there perhaps is not a song as strong as her finest composition to date in my opinion, ‘Freckles in the Sun’, the overall balance of the eleven tracks as an entity enhances the album’s accessibility and sustainability. The word Americana has been banded around this album in the run up to its release, but the label contemporary roots sits more comfortably with the liberal use of harmonica and the welcome twang via the Dobro clearly being advancements in the instrumental stakes. Labels aside, Jess continues to make music the right way and her growing popularity aided by the successful crowd funding campaign preluding the album release continues to reflect well on her hard work and talent. These two attributes are an essential tandem to success and throw in Jess’s open response to sharing her artistic flair, the blossoming of her recording career has been a shoe in for a long time. The continual full length playing of EDISON GLORIETTE has been a satisfying experience and this is set to continue especially when an opportunity to catch her live again presents itself. The stand out track award for this album is going to be shared evenly between all eleven songs to reflect the raising of the consistency bar and fully embracing the strong album concept. Jess Morgan succeeds in making this singer-songwriter thing a breeze and has rewarded those who have supported her over the years with a record of true quality. Of course this further opens the door to new admirers and if you wish to soak up the emotive tones of many songs pulsating with real life feeling, EDISON GLORIETTE should head your way.